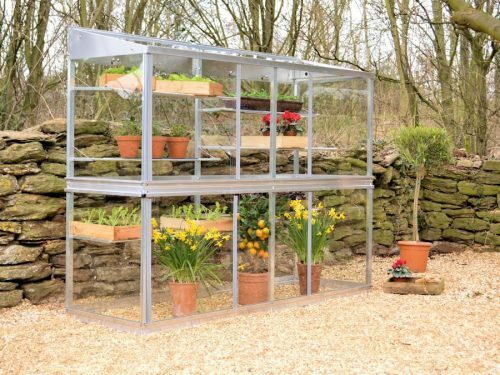 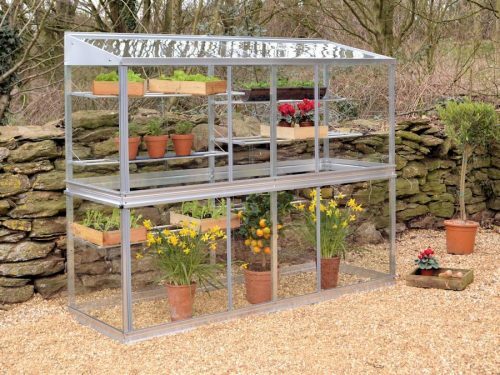 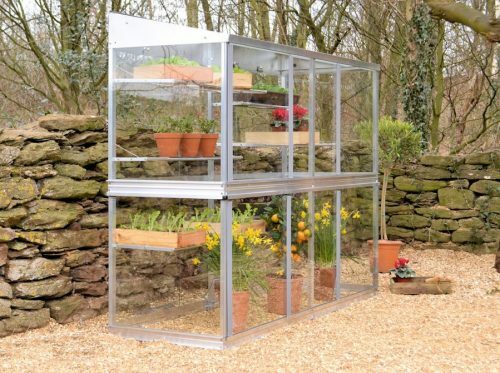 6′ Growhouse with 3mm toughened safety glass, includes 3 wide and 3 narrow seed tray shelves. 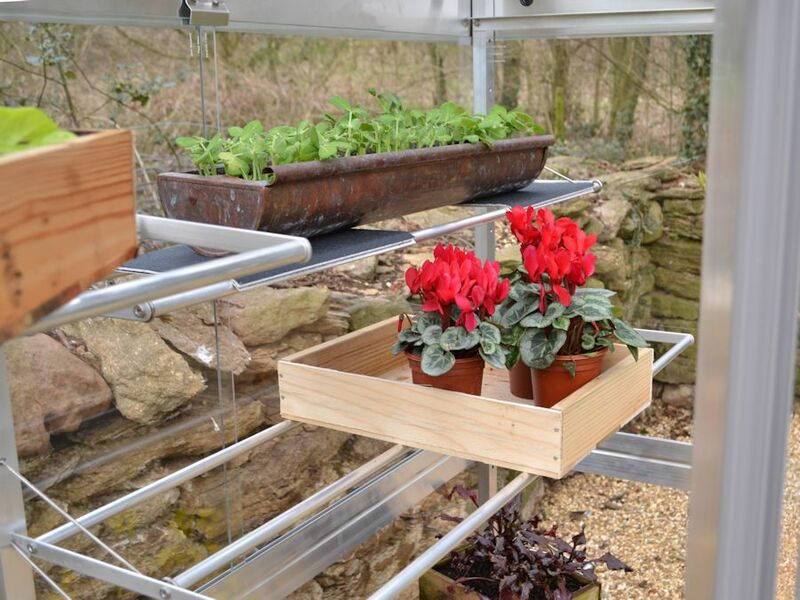 Designed to stand on patio, gravel or soil. 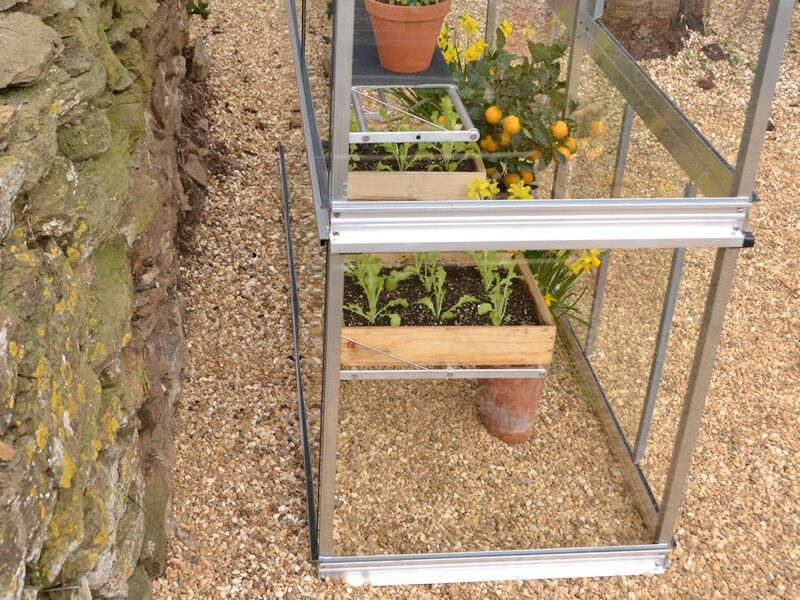 Suitable to put up against uneven wall or fences. 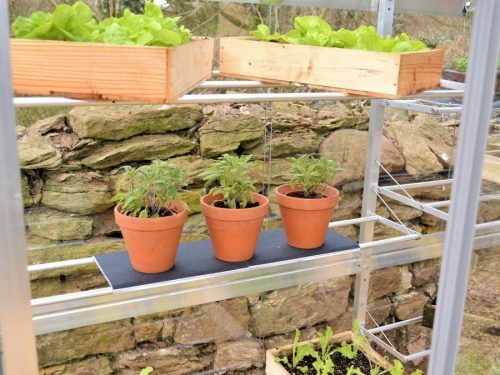 This model is ideal for taller plants like tomatoes, plus pots and seed trays. a growbag will also sit in the base. Aluminium structure with 25 year framework guarantee. 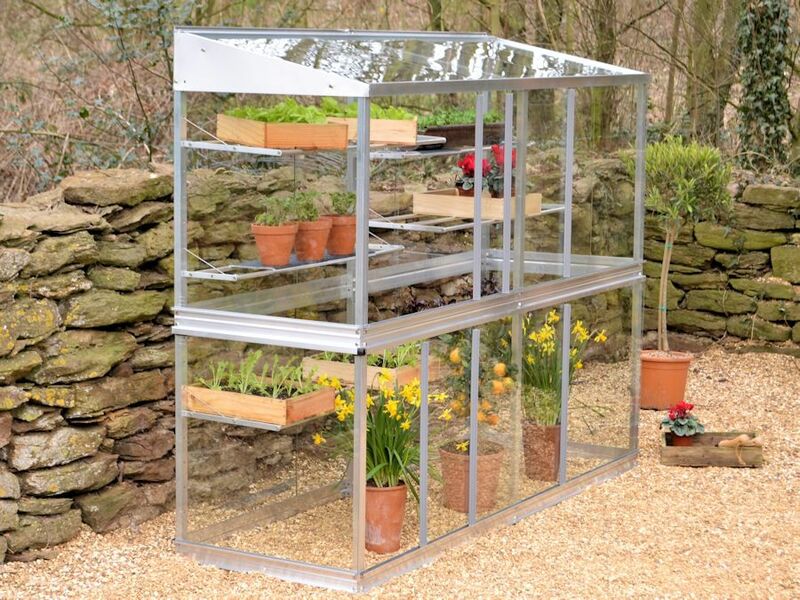 For strength and safety, this model is glazed in toughened safety glass. 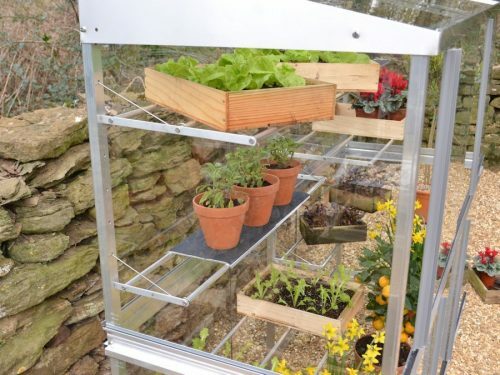 Shelves can be folded flat or removed when growing taller crops. With standard delivery pay 4 monthly payments of just £124.50 – more info. We’re very happy with our growhouse. 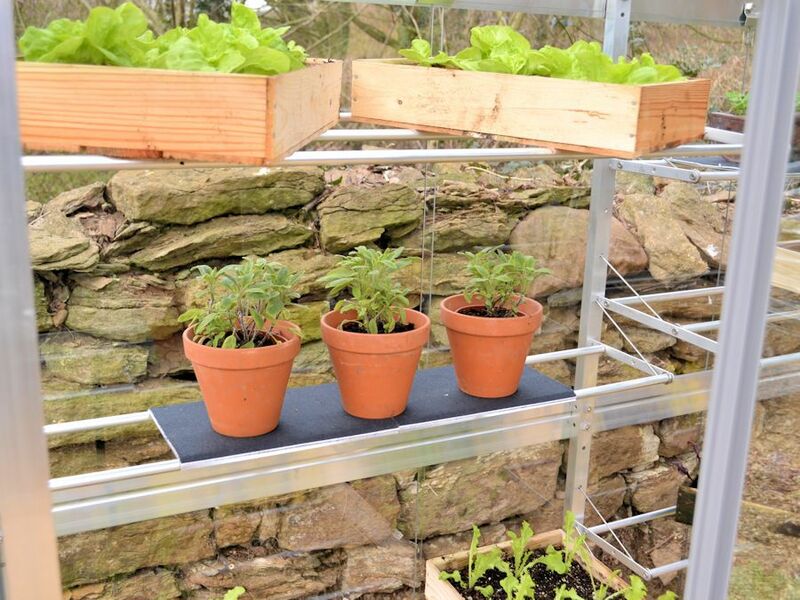 It went together very easily and our one query was answered in one quick phone call. It’s providing a good home for our cucumbers and seedlings and is very stable even in today’ strong winds.